As a social commentator Nikki Giovanni stands toe-to-toe with the best. She has the satirical wit of a Will Rogers and the comedic timing of David Letterman. She has influenced her contemporaries, from Muhammad Ali to Maya Angelou, as well as hip-hop artists of today like Kanye West. She in turn demands, using a contrarian point of view, that we question our beliefs about race, gender, equity and privilege and challenges us to hope and dream for a better tomorrow. Through intimate vérité, archival footage, and Nikki’s own captivating performance, Going To Mars recounts the story of the artist and activist and the tumultuous historical periods through which she has lived—from the Civil Rights Movement, to the Black Arts Movement, to present-day Black Lives Matter—all told exclusively in her voice. Through impressionistic visual language and nonlinear editing the film will push the documentary form while also exploring larger themes of racial identity, culture and the role of art in social change. In 2003, Oprah Winfrey sought out some of America’s greatest poets to contribute to an issue of OWN Magazine dedicated to the human body. There was a mad dash by poets to choose the heart, the brain and the skin to serve as poetic metaphor for their balladry. African American poet Nikki Giovanni’s choice best illustrates her approach to life. She chose the feet and then spun a compelling and inspirational tale using the feet of African American women to describe their struggle and ultimate triumph over oppression. This is the life work of Nikki Giovanni, using poetry, humor and satire to inspire us to think, challenge assumptions and ultimately demand equity and justice. 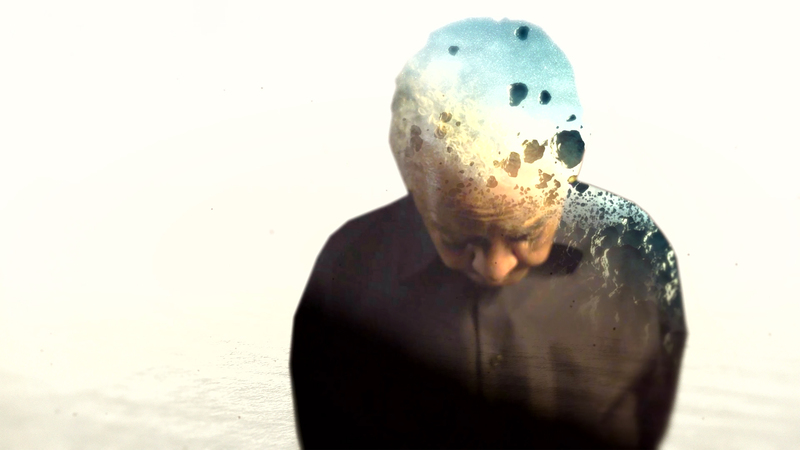 Going to Mars: The Nikki Giovanni Project opens within the privacy of Nikki’s present-day home in Blacksburg, Virginia, as she reluctantly reckons with the meaning of her legacy, her struggles with her health, and the inevitable march of time. Through the artistry and life of a poet who has lived life and created work to the beat of her own drum, the film poses universal questions on the human condition while simultaneously pushing the boundaries of biographical storytelling through impressionistic visual language, innovative editing techniques, and stylized treatments of Giovanni’s poetry that bring her written words to life. As co-founding member of the Rada Film Group, filmmaker, artist and author, Michèle Stephenson, pulls from her Panamanian and Haitian roots and international experience as a human rights attorney to tell compelling, deeply personal stories in a variety of media that are created by, for and about communities of color and resonate beyond the margins. Her work has appeared on a variety of broadcast and web platforms, including PBS, Showtime and MTV. Her most recent film,American Promise,was nominated for three Emmys including Best Documentary and Best News Coverage of a Contemporary Issue.The film also won the Jury Prize at Sundance, and was selected for the New York Film Festivals’ Main Slate Program. Her collaborative film series with New York Times Op-Docs, A Conversation on Race, won the 2016 Online Journalism Award for Commentary. Stephenson was recently awarded the Chicken & Egg Pictures Filmmaker Breakthrough Award and is a 2016 Guggenheim Fellow. Her current work, Hispaniola, is supported by the National Film Board of Canada and the Sundance Documentary Fund. Her community engagement accomplishments include the PUMA BritDoc Impact Award for a Film with the Greatest Impact on Society, and she is a Skoll Sundance Storytellers of Change Fellow.Her recent book,Promises Kept,written along with co-authors Joe Brewster and Hilary Beard, won an NAACP Image Award for Outstanding Literary Work. Producer and Director, Joe Brewster is a Harvard-trained psychiatrist who uses his psychological training as the foundation in approaching the themes and stories he tackles as an artist and filmmaker. As co-founder of the Rada Film Group, Brewster has created stories using installation, narrative, documentary and print mediums that have garnered support from critics and audiences internationally.He is a recipient of fellowships and grants from the Sundance Institute, the Tribeca Film Institute, BAVC, MacArthur Foundation, and most recently the John Simon Guggenheim Foundation.Brewster is a Spirit Award and three-time Emmy Award nominee. His recent documentary film American Promisewas awarded the U.S. Documentary Special Jury Award for Achievement in Filmmaking at Sundance and the African American Film Critics’ Association Award. Brewster’s outreach accomplishments include a Revere Award and the 2013 NAACP Image Award for the best selling companion bookPromise’s Keptand a BritDoc Prize for developing one of the most innovative documentary outreach campaigns in 2014.